heading back to my hostel for lunch. Unfortunately, I was harassed by an older man who tried to grab my hand and walk with me in the park. After I refused he tried to kiss me- in broad daylight! I thought I escaped the buffoonery back in the States, but no, they’re everywhere and even a bit more brave in Paris it seems. In any event, I did not let him ruin my day. The Tuileries garden is the oldest and largest public garden in Paris. During the World Wars, it operated as a vegetable garden. In 2005, it officially became a part of The Louvre. While walking in this park on a nice summer day, you will most likely see people selling water bottles, sunglasses and souvenirs. I enjoyed the sort of “one stop shop” element of the park because everything was super affordable. If you’ll notice in the video posted above, I briefly film the Luxor obelisk. Egypt gifted this monument to the King of France in 1829. 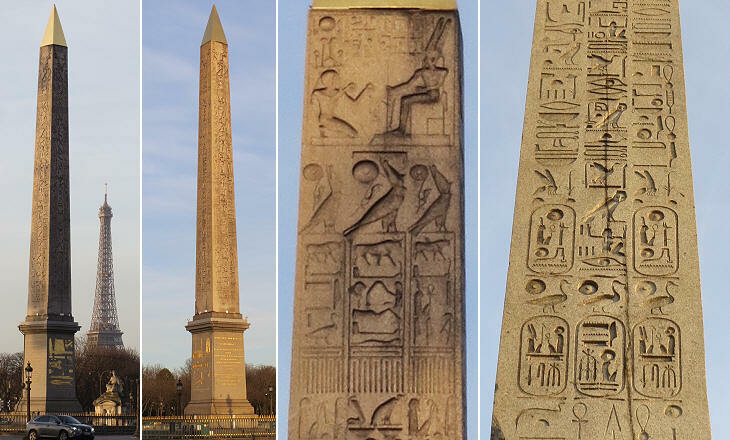 I was actually surprised by the number of Egyptian-influenced art and themes that I encountered in Paris ranging from the Obelisk to The Louvre. Interestingly enough, when the Pyramids were built on top of the Louvre, most of the French people at that time thought it was hideous. Overall, the beauty of Paris lies beyond its aesthetic. It a city rich with history, and love, whether solicited or unsolicited. In all seriousness, to those men who fit the bill, you have to do better. Respect your fellow humans (Why do I have to say this in 2017)?